When the summer heat hits, it’s understandable that you would want to live in shorts! 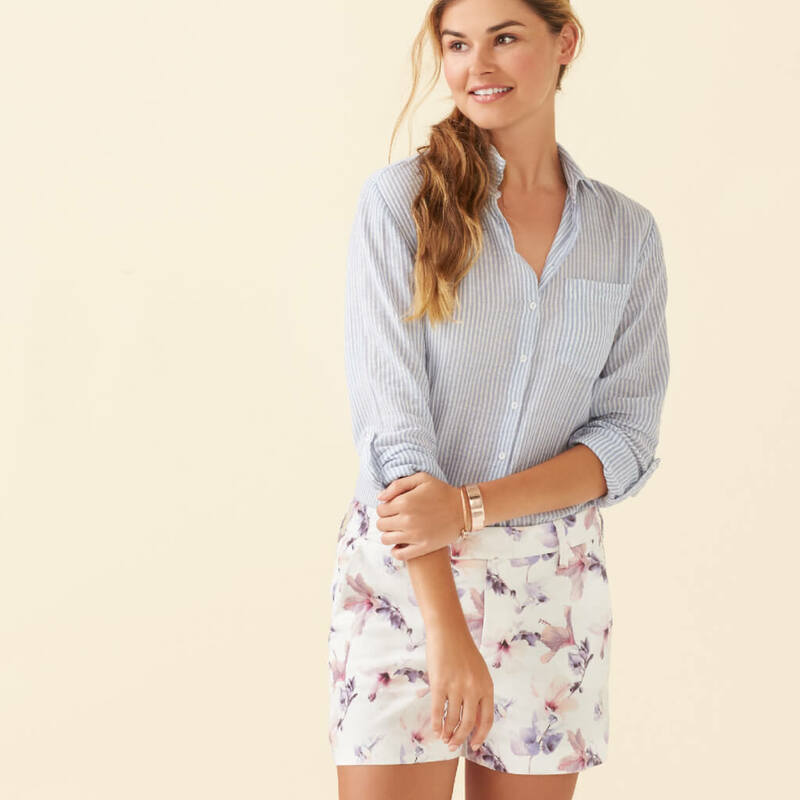 If your office is strict about business casual workwear policy, there is such a thing as work-appropriate shorts that’ll be perfect additions to your 9-to-5 wardrobe. Here are a few tips for picking office-appropriate shorts. Choose a hem that’s appropriate for your unspoken office dress code— mid-thigh to Bermuda length are your best bet. For a more creative workplace, you can experiment with lengths, but steer completely clear of booty shorts or cut-offs. Opt for a flowy fit with a simple graphic print. While we know cut-offs and tight spandex styles are fun, these should be saved for after-work wear. A sophisticated fabric, such as chino shorts, will help keep your ensemble fresh and professional. Simply tuck a neutral blouse or crisp white button down into your shorts for a chic pairing. If you’re still feeling underdressed, add a structured blazer as a second layer. Finish your look off by elevating your outfit with a pair of stacked heels and a chic clutch. If you’re still feeling unsure whether or not this type of outfit works in your office, make send your HR rep an email. What do you think about shorts in the workplace? Tell us!